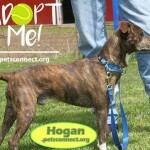 Hogan is a two year old male medium breed mix. 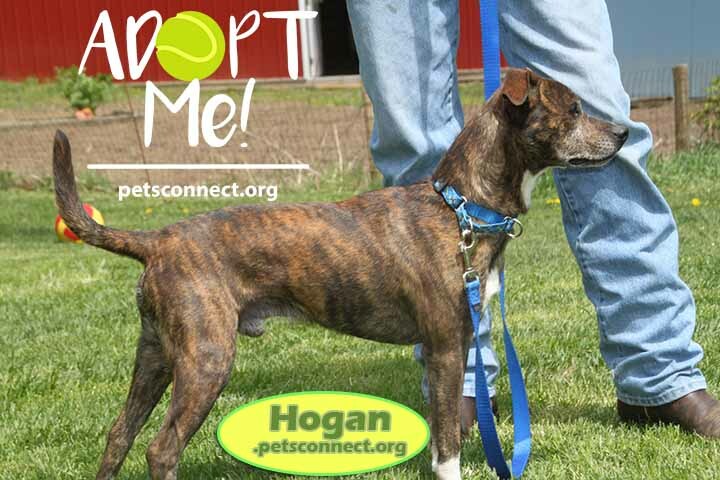 We can only guess what breed he may be. He is full grown at 32#. Hogan is good with other dogs. 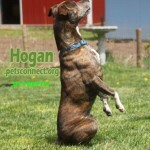 He is said to be house trained and has done well. He is really good in his crate. He really loves his crate. 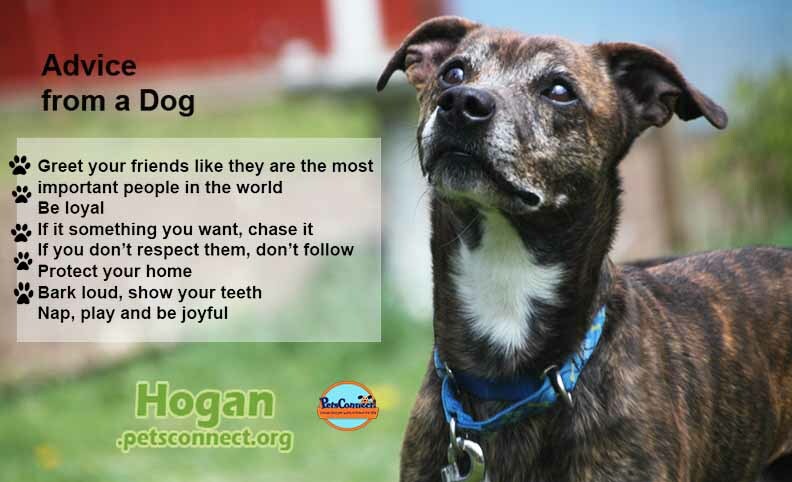 Hogan is a quiet dog but will ‘speak’ when asked to. 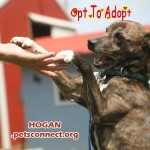 Hogan loves to use his paws to do stuff and he would be a great trick dog. He is treat motivated. 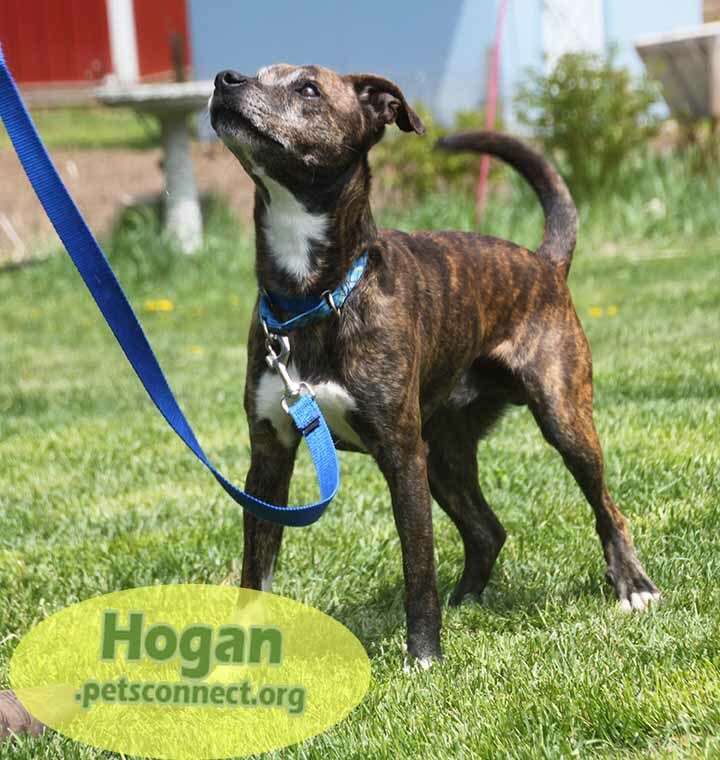 Hogan does have some resource guarding. 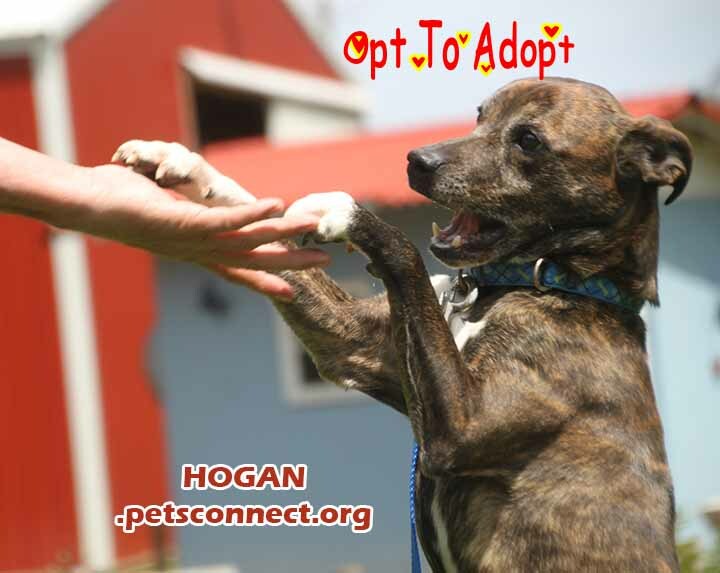 He is protective of his bones and treats when in his crate and he does at times jump for a treat and is not cautious about where his teeth begin and our hand starts. This is a training issue and he does need to be worked on. 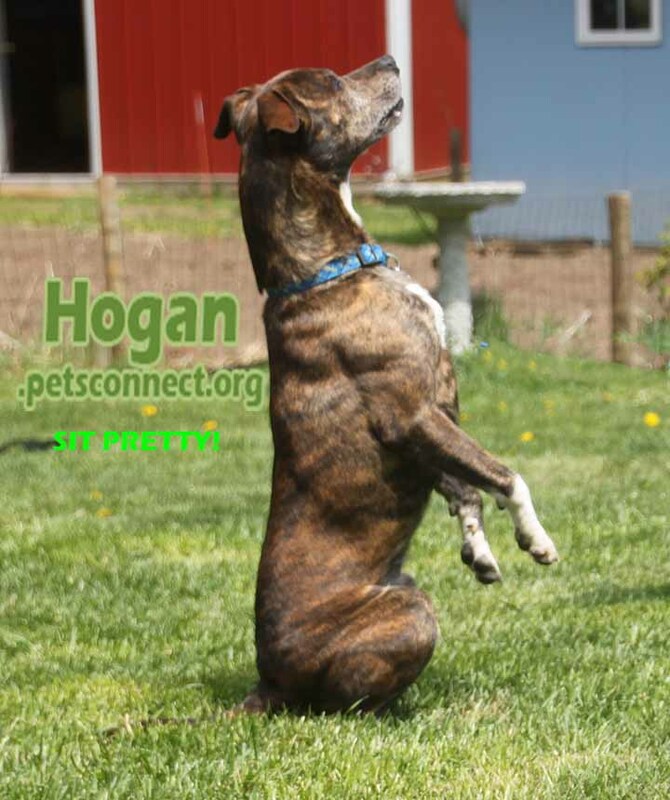 This dog is not an ideal dog to live with children because of his resource guarding. 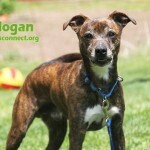 He would also be a good candidate to be the only and only dog and then just have play dates. 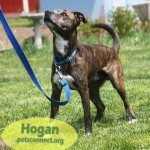 Hogan is very sweet and has gotten on well with all he has met. 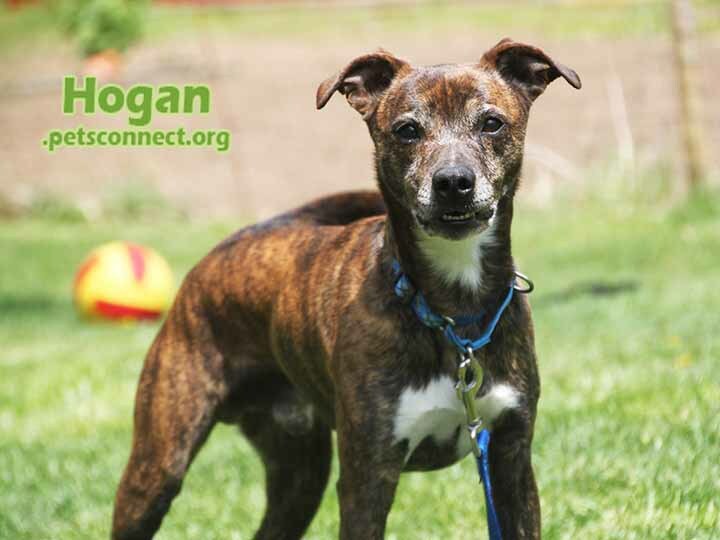 Hogan is available for adoption. If you are interested, please fill out an application and email it to us as an attachment.